"Probably no theologian in English language has ever rivaled Owen stressing the absolute centrality of Christ's penal substitution and therefore his as Priest...For that reason alone The Priesthood of Christ is worth all the time it takes to read it with humility, care, and reflection"
There are few people who have written with the breadth and depth than the puritan, John Owen (1616-1683). Owen is probably most noted for his work, "The Death of Death in the Death of Christ" and for his "The Mortification of Sin." Over Owen's lifetime he amassed a huge collection of writing on the book of Hebrews (around 3000 pages). It is from his study in Hebrews The Priesthood of Christ was born. Reading Owen is typically not easy because of the Old English language, but Christian Focus has done well to help smooth the language out in The Priesthood of Christ. There are still aspects of the book that make it a little harder to read, such as the use of Hebrew and Greek, but in most cases there is a translation that accompanies it. Owen typically writes in long sentences causing need to really focus on what Owen is writing. 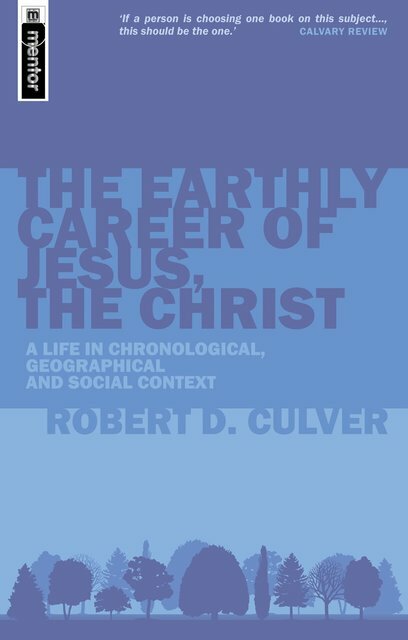 It is encouraging though to see that Sinclair Ferguson says, "This book is worth the time it takes to read it with humility, care, and reflection. At the end you will be grateful to Owen that you are stronger spiritually and theologically than you were at the beginning." At the heart of what Owen means by priesthood is Christ's penal substitutionary death as being central to the gospel. Owen writes that the priesthood of Christ is necessary for multiple reasons; (1) sin requires a punishment, (2) God hates sin, (3) God cannot allow His glory to be impeached, and (4) Christ's death is otherwise useless without His priesthood. I commend this book to anyone wanting to dig deeper into the penal substitution of Christ. It is not a book that is easily devoured in large chunks, rather a few pages at a time. In fact, this would be a great book to spend a couple of fifteen minute blocks of time reading each day. If you do this and persevere through it I know you will be echoing the same words as those pointed out earlier by Sinclair Ferguson.